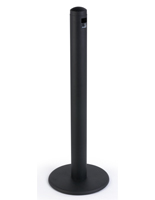 These black outdoor smokers stations are made of strong polyethylene plastic that is resistant to dents and scratches. 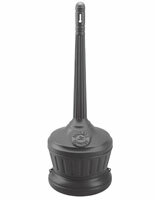 Each ashtray uses an oxygen-restricting design to extinguish cigarettes, meaning sand and water are not required for proper disposal. 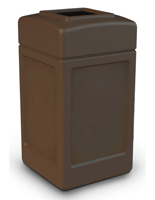 The outdoor smokers stations make great accessories to rubbish bins in parking lots, entries and public parks. 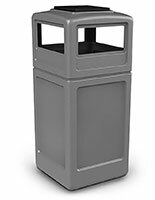 The plastic stands feature a hexagon shape and a small hole for butts that do not allow the disposal of other refuse. 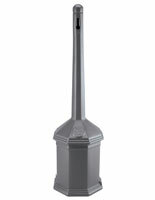 The smokers stations offer a lift-out pail that makes emptying the ash tray easy. 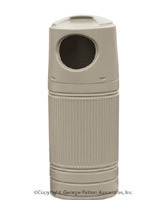 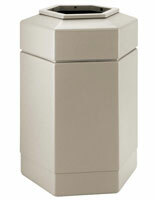 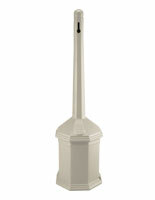 The rubbish bin accessories are also available with a beige or gray finish.